In this interview below Paul Craig Roberts describes the neo-conservative ideology that has driven geopolitics since the end of World War II, and discusses the elite agenda, the prospects for the Trump presidency, and the US economy. On that I disagree. Roberts seem not to realize that the FED, as well as virtually all of the other central banks of the various countries around the world, is controlled by the big transnational banks, and that they work together to, as Prof. Carroll Quigley said, create a world system of financial control in private hands able to dominate the political system of each country and the economy of the world as a whole. This system was to be controlled in a feudalist fashion by the central banks of the world acting in concert, by secret agreements arrived at in frequent private meetings and conferences. The banking elite thereby control not only the dollar, but all of the other major world currencies. If the inflation rates or unemployment rates become too high in one country, the central banks can spread the misery around by monetizing various securities and manipulating interest rates and currency exchange rates. For the past several decades the US dollar has been their primary monetary tool, but the dollar is not the be all and end all in their schemes. You can be sure that the banking elite always have a plan. At some time in the not too distant future when the dollar has outlived its usefulness, it will be replaced by a single global currency that will give the elite even tighter control over financial, economic, and political affairs around the globe. The flies in the ointment of their plan are (1) a few governments that are bent on steering an independent monetary and financial course, and (2) the emergence of independent, non-governmental and decentralized exchange mechanisms and currencies. In the first case, Iraq under Saddam Hussein and Libya under Gaddafi were easily disposed of (but at tremendous costs). Russia and China pose a much bigger problem for the elite, hence the stalemate in Syria and the drum beat of propaganda against Putin and the fear mongering against the Chinese. With regard to alternative exchange mechanisms, the proliferation of virtual commodities like Bitcoin and others suggests that elite control may be vulnerable to innovative and disruptive technologies. 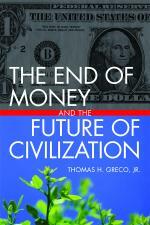 But these virtual commodities mark only the beginning of the new paradigm in money and finance. Ultimately, ways will be found to create an “internet of credit” based on decentralized, personalized, local control and backed by real goods and services. This entry was posted in Emerging paradigm, Finance and Economics, Geo-politics and tagged China, Donald Trump, Iraq, Libya, Paul Craig Roberts, Putin, Quigley, Russia. Bookmark the permalink. In case you missed it, I recommend that everyone read Paul Craig Robert’s earlier essay, “How America Was Lost,” at http://www.informationclearinghouse.info/article36788.htm. It tells the sad truth about an interventionist foreign policy based on a succession of lies and illegal actions.